HASTINGS, Fla. - An 18-year-old was arrested Wednesday after he pointed an airsoft gun at a boy who was walking home from a bus stop in Hastings, according to the St. Johns County Sheriff's Office. Douglas Sippio III is charged with aggravated assault with a deadly weapon. Deputies told News4Jax the reason why he's facing that charge is because the 10-year-old victim perceived the fake gun to be a real threat. That by itself falls under the definition of aggravated assault. 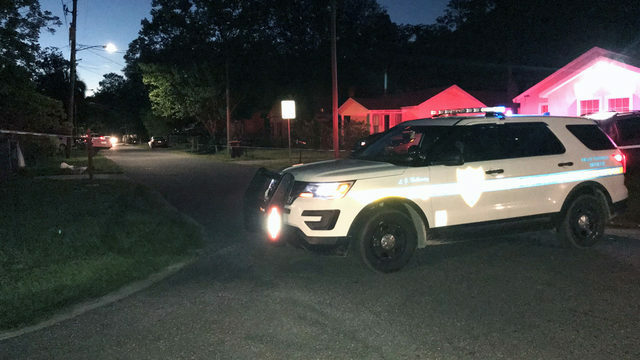 "Certainly, for this young 10-year-old boy who had a firearm pointed at him, he didn’t know it wasn’t a real firearm so he was put in the same fear for his safety and his life as a someone having a real firearm pointed at them," said Sheriff's Office spokesman Chuck Mulligan. "So for the person who conducted this act, it’s a criminal charge just as though it was a real firearm." According to the Sheriff's Office, the 10-year-old boy was walking home from a bus stop Wednesday afternoon when he was confronted by Sippio along Zigler Avenue. Deputies said Sippio was a passenger in the back seat of a truck and he pointed an airsoft gun at the boy. The child told investigators that he felt lightheaded and felt that, if he ran, he might get shot. Sippio was later tracked down by deputies and arrested. According to his arrest report, he told law enforcement quote. "I was only trying to scare the little guy." “We can certainly have a dynamic or very critical incident should someone who is playing a joke, play it on the wrong person who doesn’t understand it’s a joke and is willing to defend themselves with an actual firearm," Mulligan said. Paulette Royal, Sippios' mother who is currently in North Carolina, spoke to News4Jax by phone Thursday. She said she disagrees with the charges against her son. "This is a toy gun. They tried to explain it to the police, but the police were still, like, 'he's still being charged as if it was a real gun,'" she said. "So yes, I feel like Douglas is being railroaded." A neighbor who lives near the boy's home and who had spoken to the boy's mother said the child is still traumatized by what unfolded. As of Thursday evening, Sippio remained in the St. Johns County jail on $1,500 bond, online jail records show.